Fabulous property in exclusive Dark Harbor location within walking distance of village amenities. Turn key vacation or retirement living at its very best. Top-of-the-line building and landscaping throughout. Three bedrooms, 2½ baths, huge kitchen and dining areas as well as living rooms. 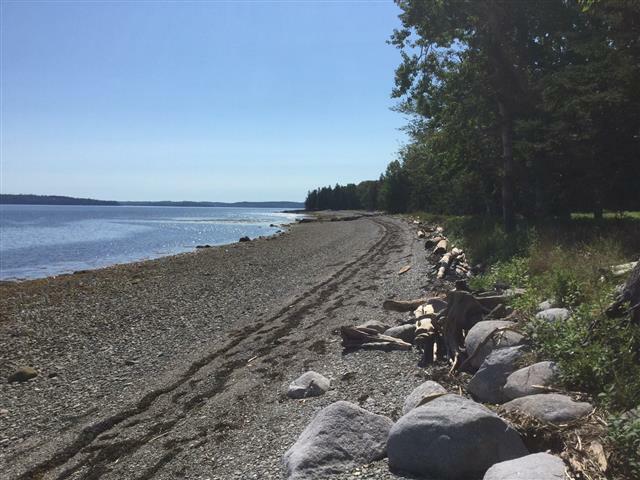 1.7± acres with 260± feet of tidal frontage on Ames Cove. Conveniently located right in the heart of Dark Harbor Village, this 100± year-old Victorian house is in exceptionally good condition and very tastefully decorated. 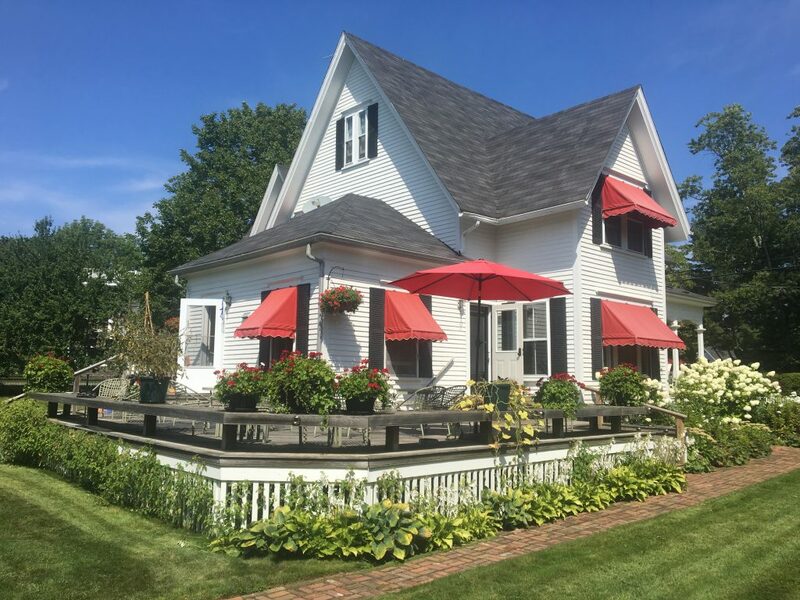 With six bedrooms, 2½ baths and more sleeping space available on the third floor, the home has plenty of capacity for a large family or even a bed and breakfast. Amenities include first-floor master bedroom, two fireplaces, large living room, study and much more. Home is being offered partially furnished and ready to move into in time for next summer. 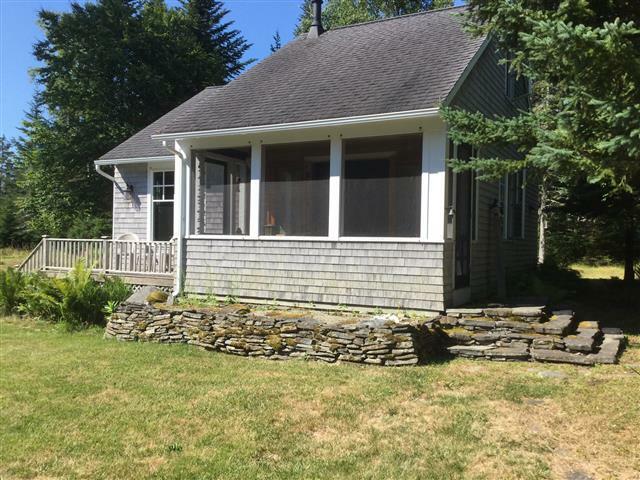 Expansive Rockport Post and Beam with 3 bedrooms and 2 baths. 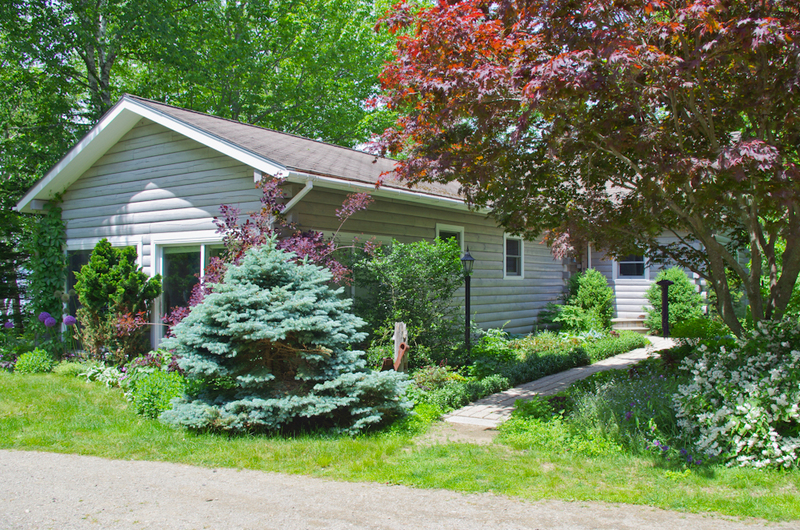 Two decks, large walk-out basement with finished (play)room and very large storage area. Views of ocean from most rooms. Kitchen with cherry cabinets. Great room with wood-burning fireplace and wood stove. 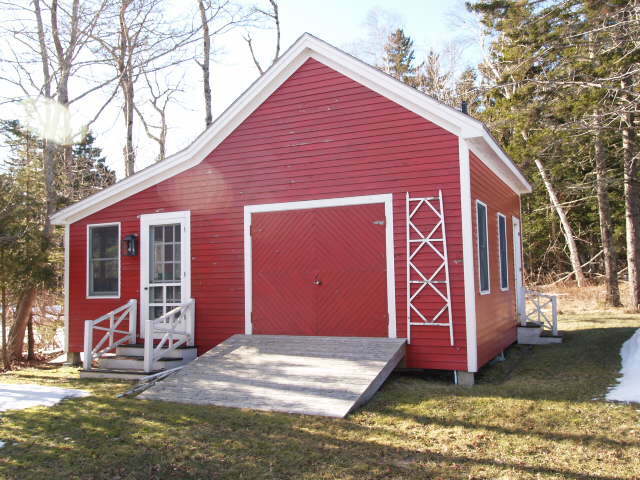 Two-bay carriage house with second floor storage or possible apartment. 2.23± Acres with 195± feet of prime beach frontage. 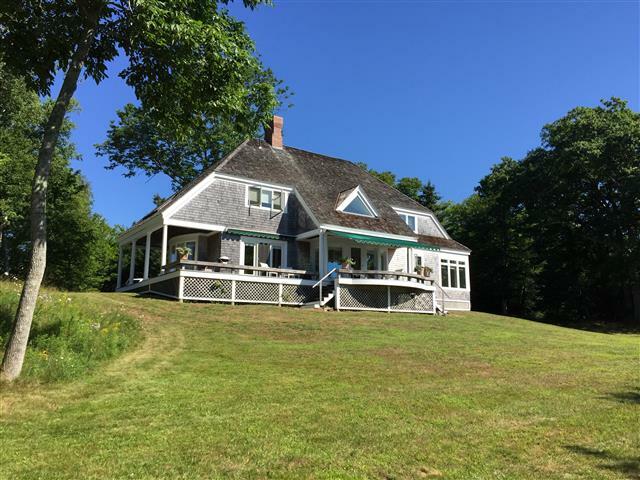 Designed by architect Chris Glass and built in 1986, this cottage sits right on West Penobscot Bay with 255± feet of prime beach frontage and views of sunsets over the Camden Hills. 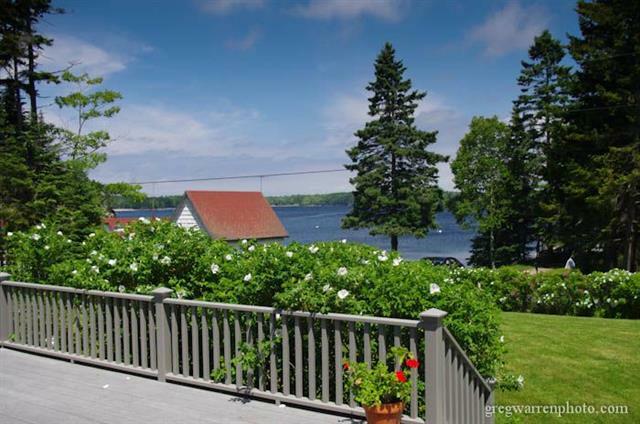 Private location, yet close to the ferry landing and town amenities. Two bedrooms and 1½ baths. Open floor plan, yet cozy and comfy. The covered porch beckons you constantly. The detached 2-car garage has a workshop area and second floor living space for overflow. The wooded 2.8± acre parcel affords plenty of privacy. 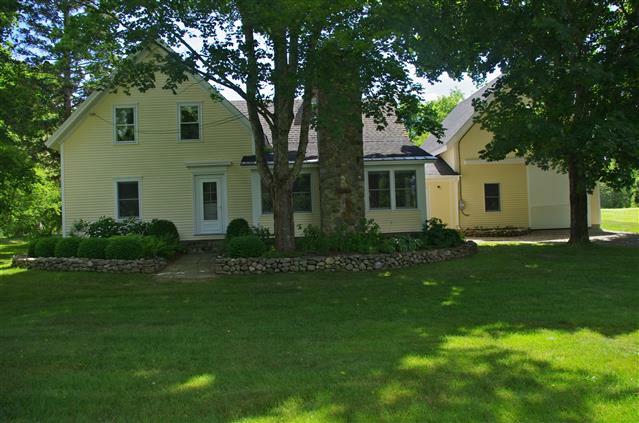 Garrison Colonial with four bedrooms on West Bay Road. 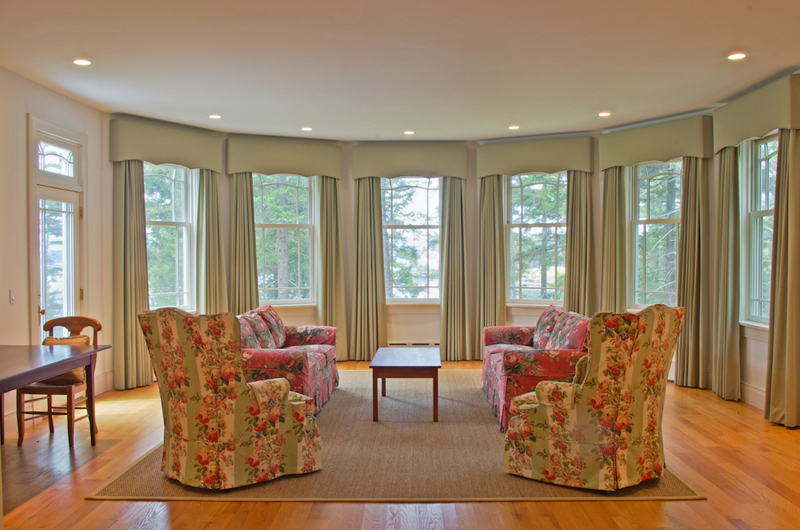 Fabulous westerly views from the great porch and the 4-season room. 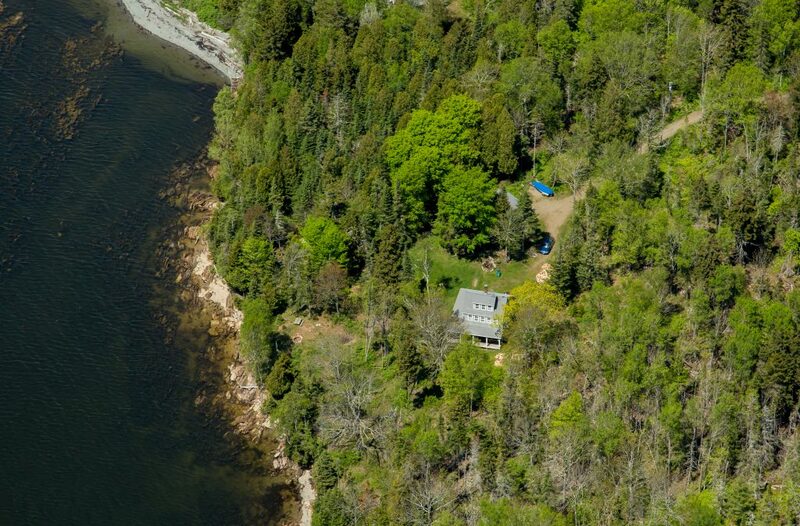 Large living room, great kitchen, dining room, 3 baths, attached 2-car garage, 260± feet of prime beach frontage on West Penobscot Bay, two fireplaces, good moorage. Great vacation location and perfect retirement home! 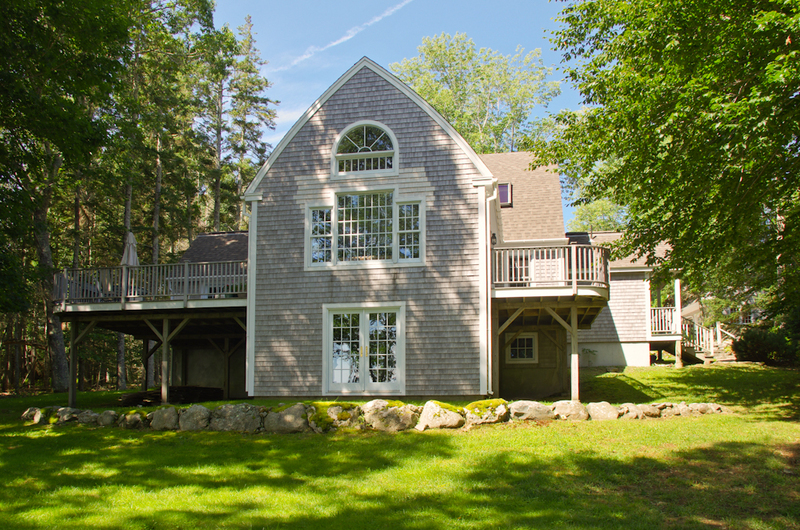 Located off coveted West Bay Road, this year-round home sits right on the water where you’ll always hear the waves lapping the shore. 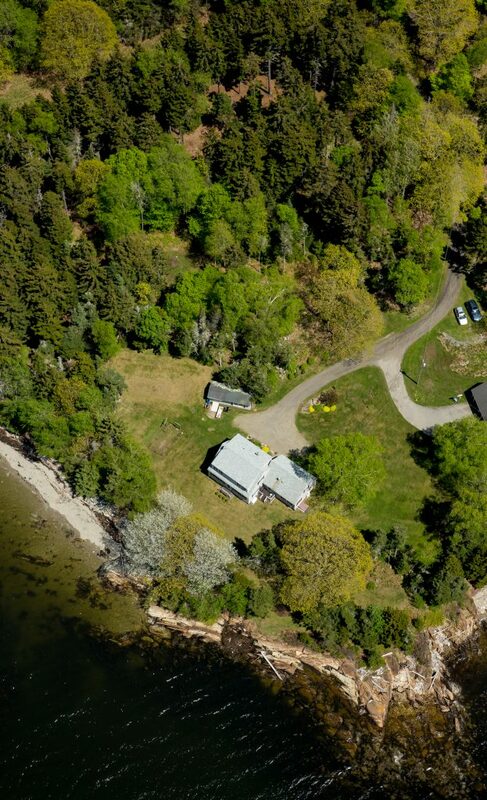 On 2.3± well-landscaped acres with 243± feet of easily accessed shore line. House is very tastefully decorated with 3 bedrooms, 3 baths, living room, den or office, cook’s kitchen and dining area. Unattached workshop/storage shed. Deeded driveway easement and well easement are both shared with neighbor. 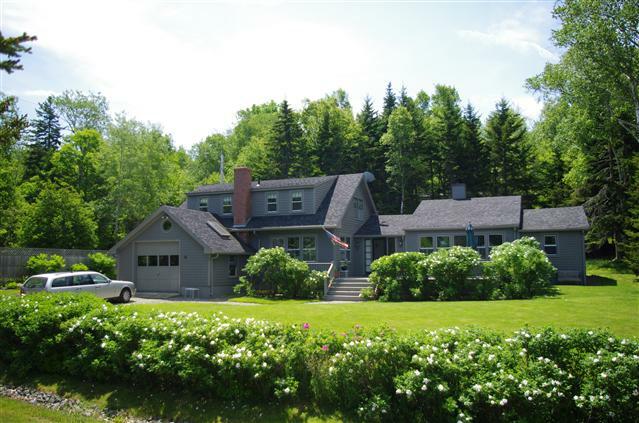 This 210’± beach frontage property overlooks Penobscot Bay, the Camden Hills, and year-round sunsets! 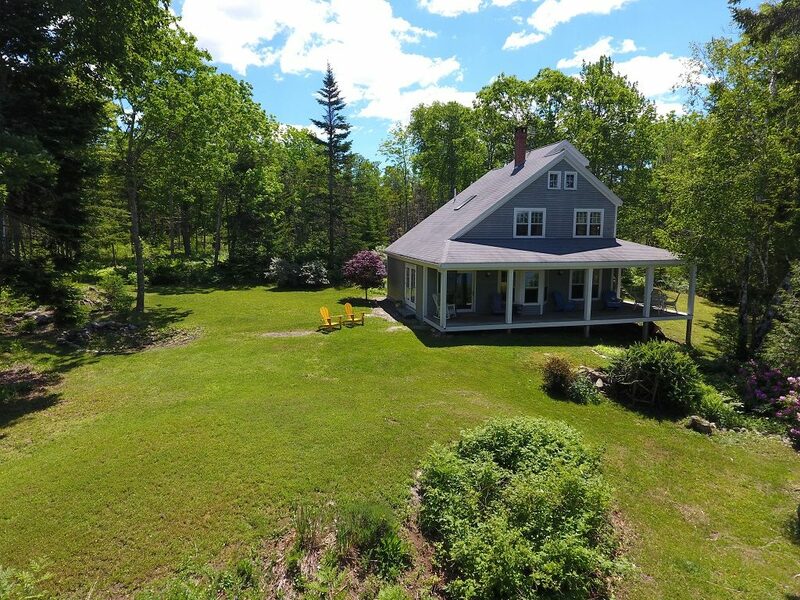 On 2.2± acres, there is a year-round log home with 4 bedrooms, 2 baths, kitchen, open living/dining room with wood stove and built-in bookshelves and cupboards. There is a glass-enclosed 4-season sun porch on the southern side and an enclosed porch with deck on the water side. There are 3 outbuildings: 3-bay carport with overhead enclosed storage, utility building which houses a full-house generator, and a workshop with attached enclosed wood shed. All this is surrounded with well established perennial gardens and oak, ash, and birch trees! 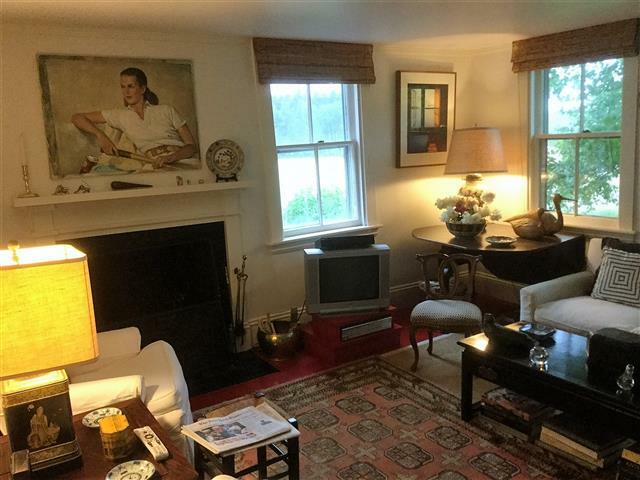 Classic charmer features nine rooms with three bedrooms, a nursery and 2½ baths. Extensively refurbished in 2017. The newer first floor master bedroom with full bath overlooks a lovely and private courtyard. The light-filled kitchen has ample cupboards and storage. Separate laundry/pantry. Attached greenhouse has outside entry. Additional 500± sq. ft. building is perfect for summer dinner parties. Located on 6+ acres, this is an opportunity not to be missed. 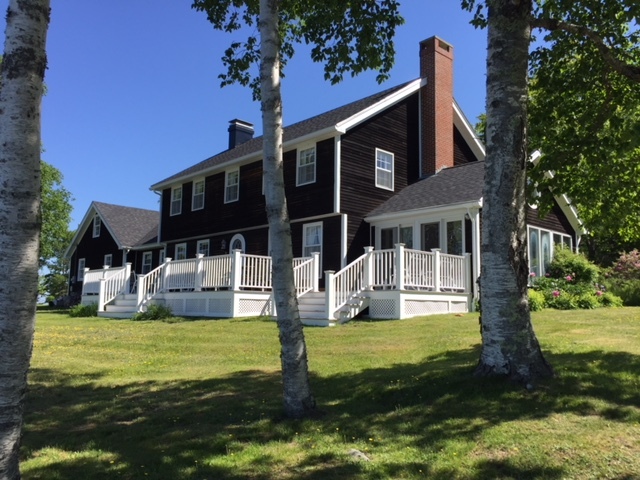 The main house, built in 1997, has living room with fireplace, dining area, kitchen, breakfast area, two bedrooms, bath, laundry, and bonus room on the first floor. Attached 2-car garage. Second floor is insulated and framed for 3 more bedrooms and bath. French doors lead to fabulous porch. 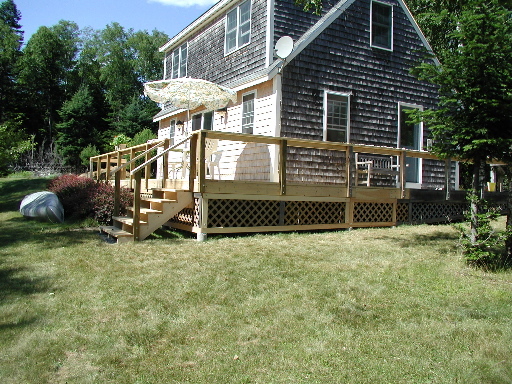 Wide wooden steps lead to 355 feet of beach frontage. 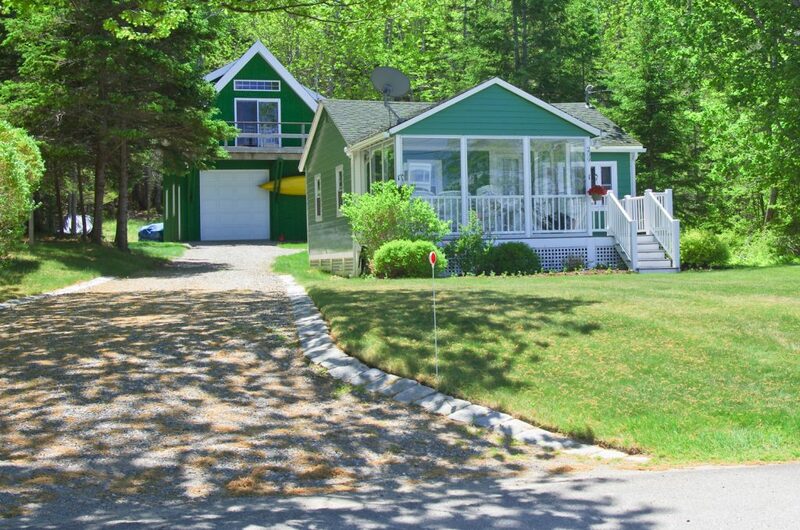 Entirely self-sufficient two-bedroom guest cottage with brand new kitchen, deck overlooking large yard and water. Perfect for guest overflow or rental income. Over 9 acres with 321 feet of gorgeous beach frontage! 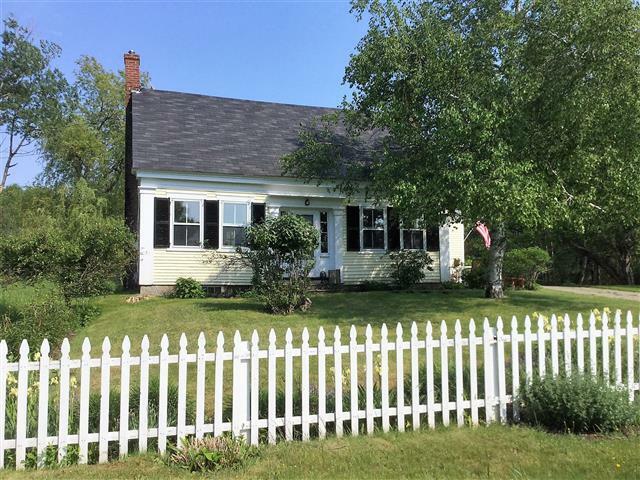 A gentle step onto the beach with views all the way from Castine to North Haven! Built in 1998, house is small and cozy with room for expansion. Master bedroom on 1st floor and extra sleeping room in the air-conditioned loft. Large storage shed, great fire pit, tent platform (with electricity) for when lots of guests visit. This is real Maine living! 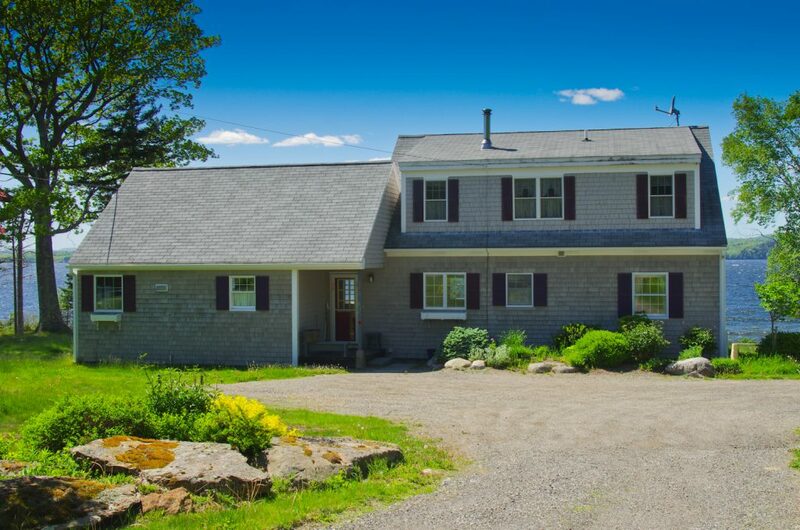 Cozy 3-bedroom, 2.5 bath cape on 11+ acres of field centrally located mid-island. First floor master bedroom and bath, kitchen, living room with fireplace, dining room. Large back deck overlooking a lovely, private yard with pond. Come and vacation here now and retire here later! 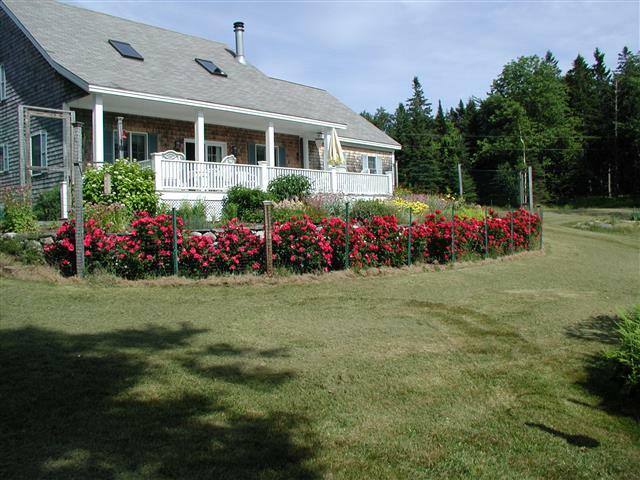 Three-bedroom year-round home on 2.4 pleasantly wooded acres with 200+ feet of tidal frontage (gorgeous sunsets!) on Crow Cove. First floor has a very open floor plan with many built-ins, half bath and separate entrance to large home office space. Second floor contains three generous bedrooms and two full baths. Winterized and on the Water! 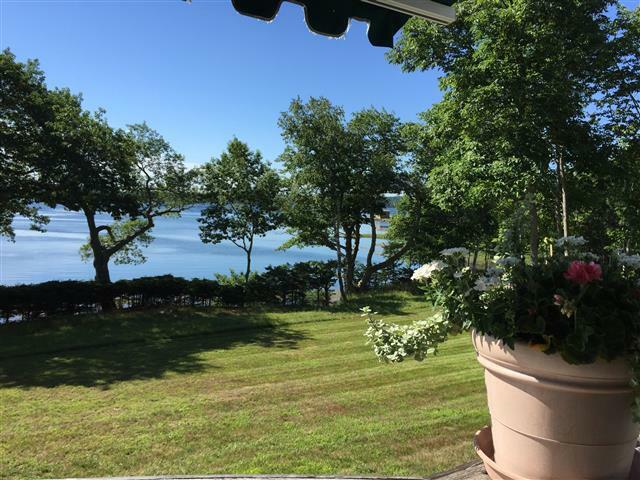 Exceptional Hewes Point water view cottage. 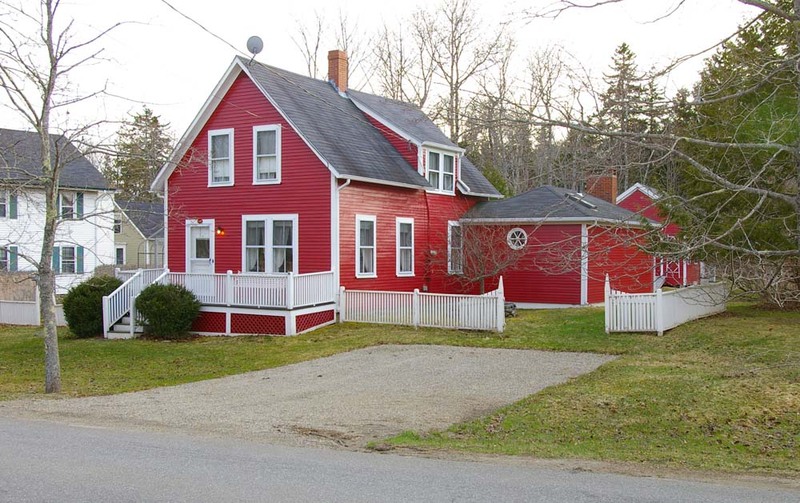 Completely renovated and updated by one of Islesboro’s own master carpenters. Designed with a careful eye to detail, flow and function. A must see. 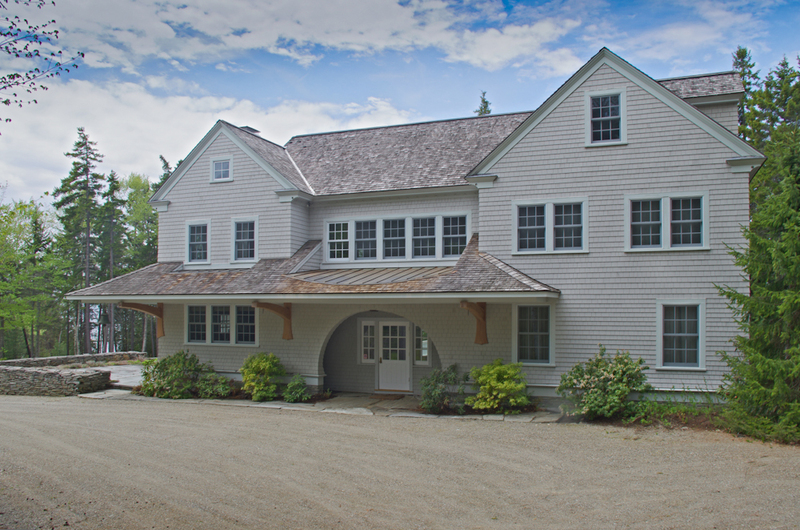 New England cedar shingled exterior belies the crisp interior decor and tasteful furnishings. Fine woodworking and bead board, clean white finish and highlights, hardwood floors. Inviting foyer, cozy sitting and dining room with tiled hearth and wood stove, cheery kitchen, vaulted ceiling living room and fireplace. Master bedroom and bath, two-bedroom guest suite with private baths, fourth bedroom or office and bath, and attached garage and studio. Almost a half acre. 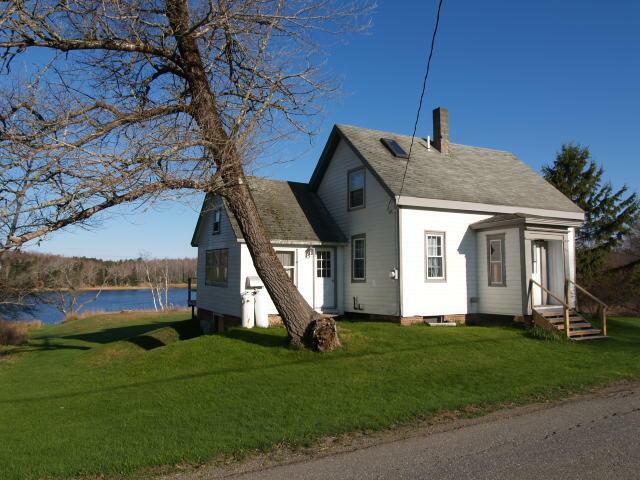 Deeded right-of-way to beach. Meticulous landscaping, delightful deck and hillside rock garden. 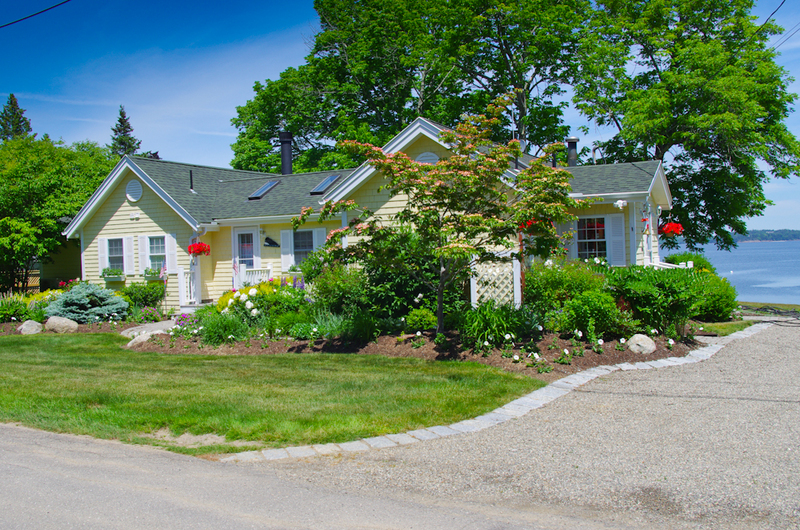 Hewes Point Road is a cherished historic neighborhood of charming waterfront and water view homes. Town tennis courts, library, historical society, and Big Tree Boating nearby. Warm, inviting, and impeccably kept property on West Bay Road. 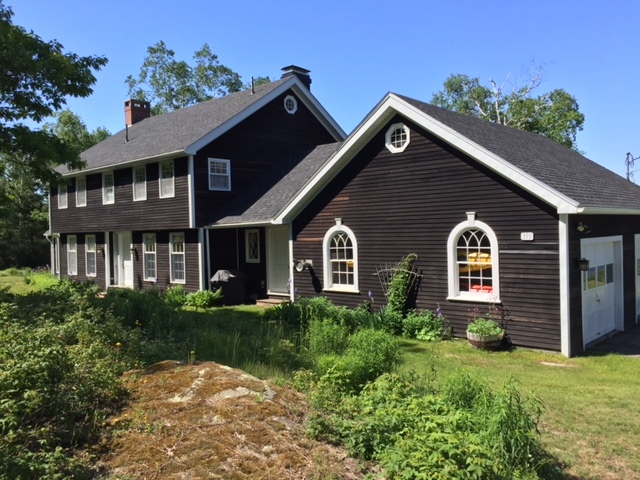 Three bedrooms, two full baths, two living rooms (one with field stone fireplace), dining room attached barn with enormous work space plus studio space and finished second floor dormitory. Beautifully landscaped with apple, plum, pear, crab apple, beechnut trees, and grape arbor. Spacious garden shed and deck overlooking it all. This circa 1895 house has been lovingly restored with far too many features to mention here. And all at an exceptionally reasonable price! 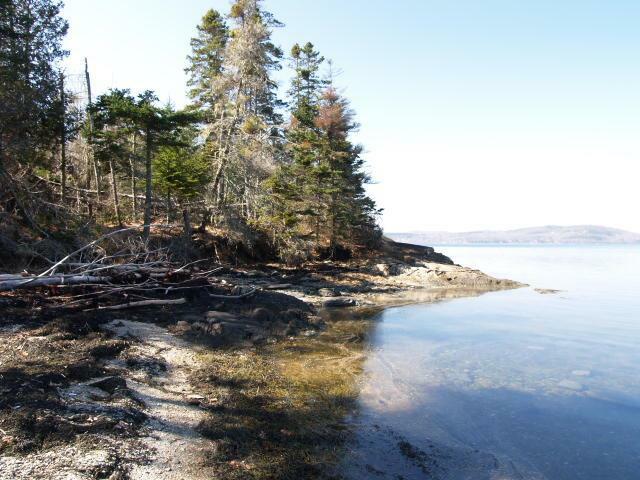 Private 6.4 acre building lot with 390+ feet of beautiful deep water frontage on Sprague Cove. Located at the end of the road with a building envelope in place and a meandering path to the shore. Soils test available for 5-bedroom house! This is a very desirable property at an exceptionally reasonable price. 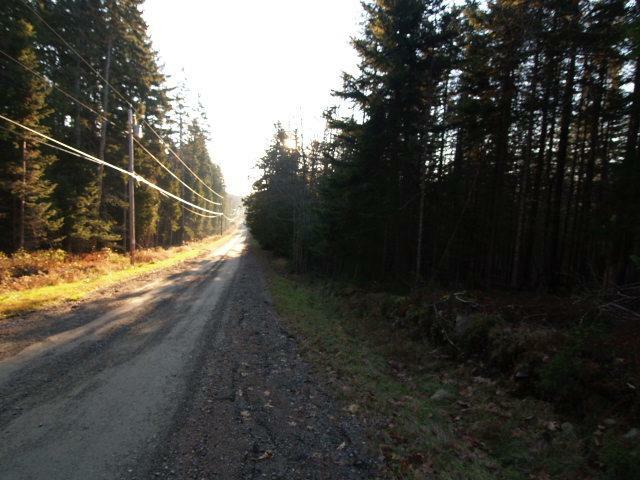 Approximately 15 acres of woodland with about 1,400 feet of frontage on Bluff Road. 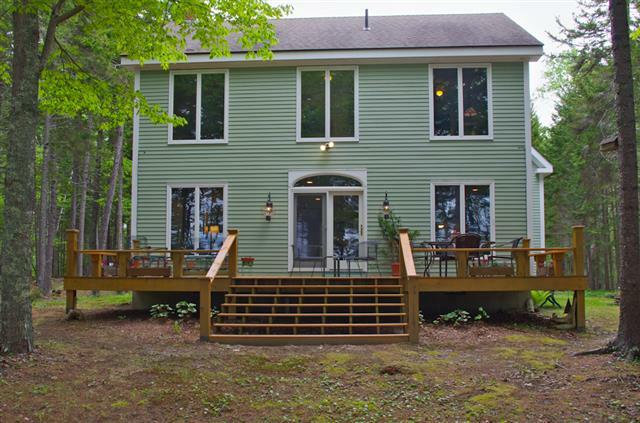 This property is well wooded in soft and hardwood trees. Subdividable. For sale as one large parcel. 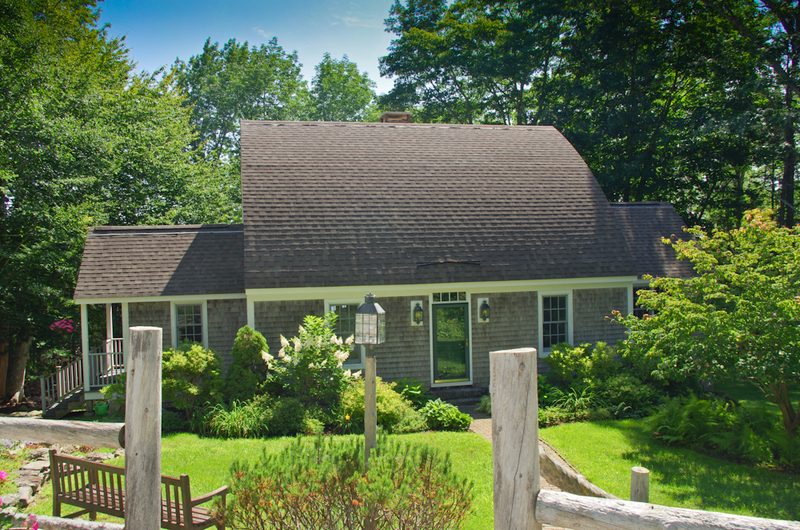 Clapboard cottage meets pond lodge in this sunny, two bedroom, one bath home. 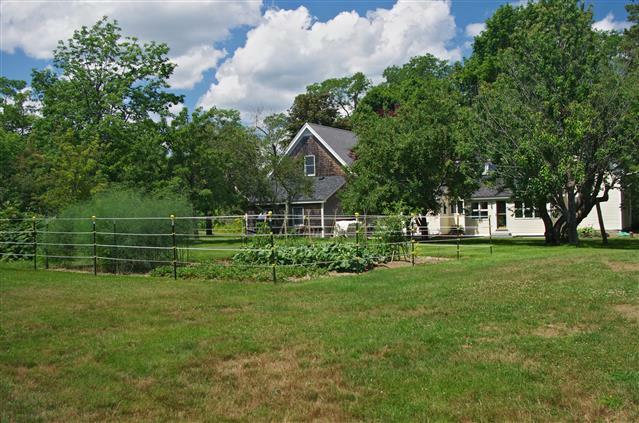 Situated on 2 acres with 180+ feet of frontage on the Meadow Pond, it’s a naturalist’s delight. 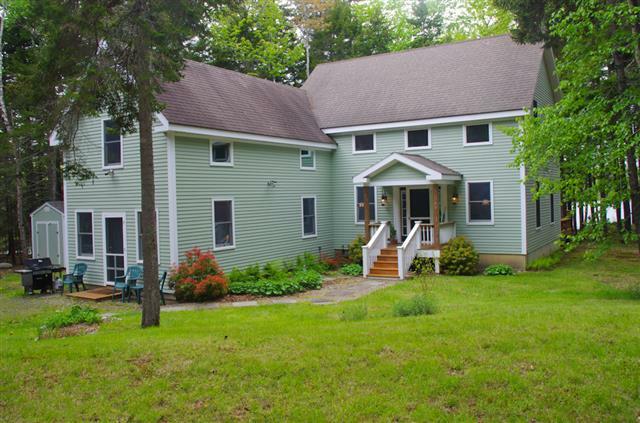 Downstairs includes a bright living room, large family room overlooking the pond, full bath and cozy eat-in kitchen. Upstairs features a roomy master bedroom and cute second bedroom, both with skylights. Full walk-out cellar for plenty of storage. 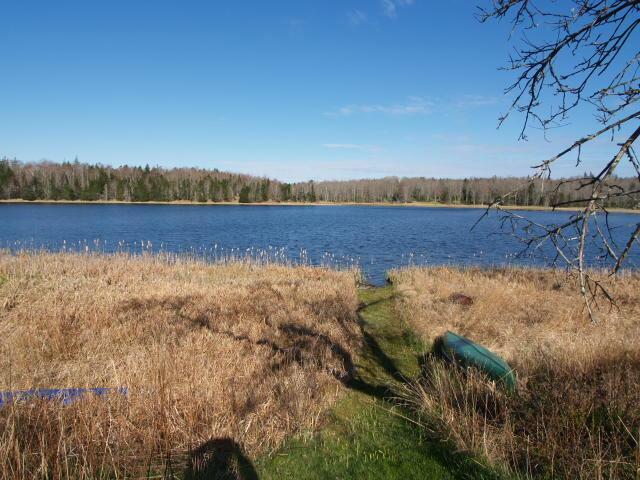 Enjoy gorgeous sunsets from the spacious back deck or grab a fishing pole and go canoeing from your own backyard. 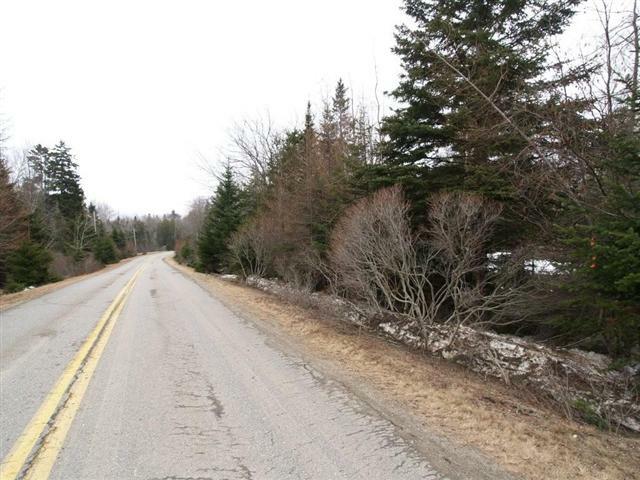 Nearly 2 acres with 500 feet of road frontage in Northeastern Islesboro. This property is ready for building! Easy access and easy building site with entrance driveway installed and electricity readily available roadside! 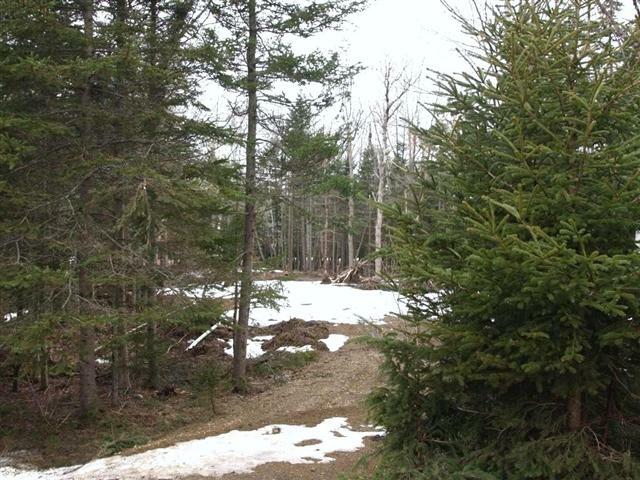 The septic system has been designed and laid out on the land, which has been partially cleared, the rest being in soft and hard woods. Seldom does a property like this come on the market at such a reasonable price. 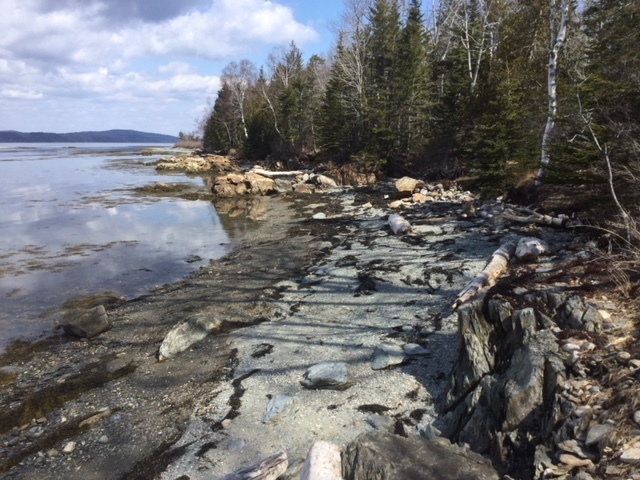 If you want to build on Islesboro, this is your chance!